What if being in chaos was optional? What if crisis, or chaos, or “firefighting,” or feeling behind schedule, behind the press of constantly emerging problems, could be stopped? It can. It’s simple. It’s not easy. Here are your three steps to stop fighting fires — and getting control, confidence, and clarity. 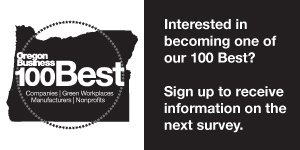 Our ranking of Oregon's top IT consulting/tech services by number of employees. Our ranking of Oregon's top architecture, engineering and design firms ranked by number of licensed professionals.